The idea of prayer is to inwardly have a private dialogue with the Creator. Speak to Him just as you might speak with a friend who is paying attention and listening. All around you may be noise, traffic, planes, telephones. Inwardly, too, may be a preoccupation with hassles, business dealings, quarrels, competition, desires. But prayer brings you suddenly to… quiet. The inward silence creates a barrier to the flow of noise, and it is as if there is silence and calm all around. Tranquility is yours! Granted, you don’t come to this stage of repentance until you’re fully immersed in the first two, but coupling R. Rottman’s commentary with R. Wolpe’s, we see that in talking to God, we don’t have to stand on ceremony, as it were. We can speak from the heart, one-on-one, confessing only to Him our feelings of regret and remorse, expressing our sorrow and guilt, and pleading with Him to be our strength in the face of our trials; our rock in overcoming our challenges. I know Yeshua (Jesus) was talking about blessings, but when a person finds the self-control, with God’s help, to overcome challenges, although we expect some sort of relief from strife, what most likely happens is another, stronger challenge appears. It’s like being an athlete who has exceeded a personal goal. Having done so, it’s not a matter of resting on his or her laurels, but finding the next goal, the next challenge, and tackling it. But on a moral and spiritual level, overcoming a personal challenge is often exhausting, and after a tough battle, all you want to do is rest. Even after he successfully overcame his trials, Yeshua got to rest. When facing a spiritual challenge, we have two fears. The first is that we will fail (again). The second is that we will succeed only to immediately face a much more serious challenge. Why not stay where we are? It may not be the best situation, but at least it’s a known quantity. Two reasons. The first is that by continuing in a state of sin or disobedience to God, you are not only damaging your relationship with Him, but likely with others around you including friends and loved ones. In fact, it might be the realization of their pain that spurs you into action and seeking repentance in the first place. The second reason, as Rabbi Pliskin relates, is that being on the ladder is like being in a boat on the river. If you stop rowing, you don’t stay in one spot, you go backward. It’s only through constant effort that you make progress. Although a real ladder doesn’t work this way, spiritually, that’s what happens. In spite of R. Pliskin’s metaphor, few of us start climbing the ladder and successfully master a rung a day. Conversely, few of us start at the top and steadily, unerringly make our way to the bottom. For most people, we struggle up two and down one, or up one rung, then down two, often for quite some time as we seek to master some part of ourself. As much as we’d like it to be otherwise, progress, spiritual or in any other way, is rarely linear like climbing a flight of stairs. A person whose main focus is self-improvement and a striving for perfection will always check over his behavior to see what needs correction. Keep asking yourself, “Have I made mistakes?” When you do find a mistake, feel positive for the opportunity to correct the mistake for the future. Oh, if only it were that easy. The Rav makes it seem like we may or may not find that we’ve made mistakes, and yet what I know of human nature in general and my nature in specific tells me that we make mistakes every day, big and small. Of course, the more often we check our moral compass and the path we are traveling, the greater the likelihood that our course corrections will be frequent but small. That assumes, of course, that we generally are on the right course and don’t find ourselves in uncharted and undesirable territory. It’s much more difficult when you have fallen far, to start climbing the ladder again. The distance from the bottom to the top seems so long, so insurmountable, and overcoming inertia to begin working from the basement of your soul up to that first rung is an almost unimaginable effort. A word of caution. While self-criticism is a prerequisite for character improvement, one must be careful to have a healthy balance. 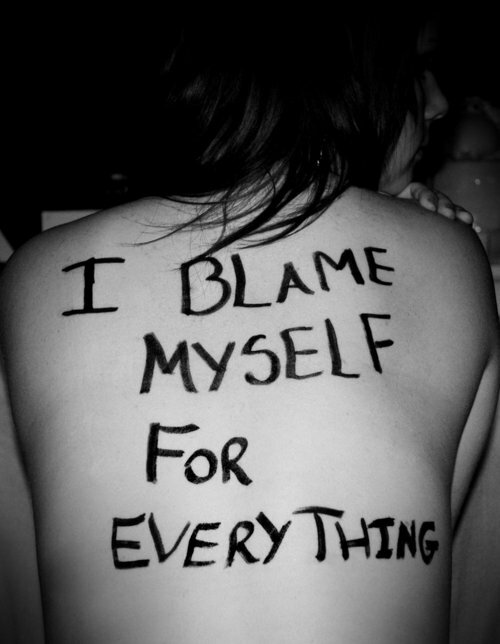 Excessive self-condemnation will be extremely detrimental to one’s well-being. You need to master an attitude of joy for doing good and then self-criticism will add to that joy. Every fault that is found and worked on will give you the pleasure of knowing that you are improving. Step two on Rabbi Rottman’s list of the four steps of teshuvah is “leaving negativity behind.” He is speaking of changing your environment and the various influences in your life to minimize or eliminate those that contribute to your being tempted to return to sin. However, from my point of view, one of those influences is yourself and what you are saying about your circumstances. If you look at the ladder from the bottom and say that it’s impossible for you to climb even in a small way, then you are right. It is impossible. Then there you sit in the dust and continue sinking to some sub-level of iniquity. As much as we’d all like God to “zap” our lives so that we find spiritual and moral growth easy and effortless, such is not the case. Grace may be free but repentance is really hard work. Leaving negativity behind is largely a matter of the stories you tell yourself about yourself. If you tell yourself you are helpless and hopeless, then you’re right. If you tell yourself you are capable and with God’s help, you can begin to climb the ladder and improve, you are also right. The ladder is either a barrier that holds you down or an opportunity to lift yourself up. You don’t have to achieve spiritual miracles and jump from the bottom to the top in a day, a week, or even a year. Truth be told, the ladder is as long as your life and the challenges never end. But the one you face today that seems so huge and so terrifying, might seem like a small kitten a year from now if you are diligent in your work. If you look at some temptation facing you and resist it this morning, by tonight you can look back and say that you have accomplished something. Yes, the temptation may be there tomorrow, but that’s another rung on the ladder. When you see birds flying, let that serve as a reminder to you to make the necessary movements to raise yourself spiritually. Therefore let him who thinks he stands take heed that he does not fall. No temptation has overtaken you but such as is common to man; and God is faithful, who will not allow you to be tempted beyond what you are able, but with the temptation will provide the way of escape also, so that you will be able to endure it. 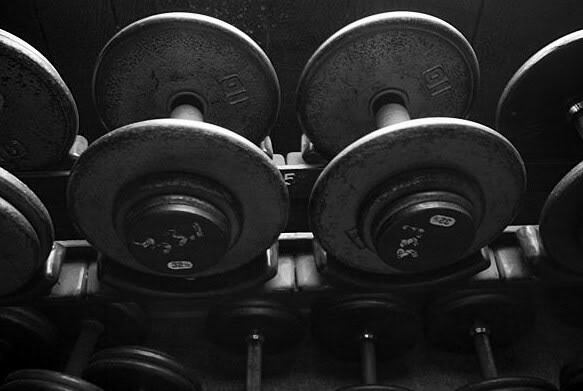 Five days a week, I wake up at 4 a.m. and make it to my local gym by five. It’s gotten easier to overcome sleepiness and to battle the drive in the dark to the gym to do this, and then to face the free weights, the workout machines, and the cardio exercise, fitting it all into an hour, but in the beginning it was very difficult. Some days my workout is better than others. Some days, I skip a scheduled day, as I did last Friday, but pick it up the following day to make up for my lack of consistent effort. It is the same when we face our challenges. We accept them upon ourselves for many reasons. We want to be a better person than the one we are today. We have many flaws which hurt our relationship with God and with our families and friends and we want to repair the damage. We are continually hurting ourselves, and need to become stronger and to heal. Change can be terrifying but it can also be exciting. It’s like moving to a place you’ve never lived before. You have no connections or support, but you also have a brand new environment to explore and learn from. The effort you make and the story you tell yourself about it will make the difference between falling and soaring. But you don’t have to make the effort alone. Talk to God. Ask for his help. With our eyes on our Master, we can learn to climb high and fly with eagles. Yes. We always find that we have fallen off the path, and that discovery requires a course correction on our part. Once off the straight and narrow, it is difficult to even find the place where you turned to the right hand or the left, and so one goes back to the beginning, and checks off a list of righteous deeds and habits, to find what exactly was the challenge that threw us off the path in the first place. It is always a choice to do one’s own will, rather than G-d’s, but it doesn’t always appear to be that old rebelliousness and desire for what WE want rising up again in us, and making us stumble. We don’t always understand what we did not see as a route of escape. Sometimes in exhaustion or stress, our hurrying through life allows us to miss the way of escape, and so we slip back down the ladder and have to begin again. Still, this is our life’s journey, and our life’s challenge to keep getting back up, and begin again. Knowing that Abba is there, and understanding that if we will just take a step in the right direction of our own accord, He will make the other steps a little easier, or enable our difficult steps back up the ladder and make each step more productive of positive change that stays in our lives. In the end, it doesn’t make any difference how many times we fall. So long as we continue to look up to the top of the ladder, and struggle to get to the top over and over, sooner or later those eagles wings will sprout from our shoulders, and we will fly. This is G-d’s plan for those that trust in Him.